The capital of Hungary must be on your to do list this year, especially now that our deal hunters stumbled upon a New York to Budapest flight from $534 round-trip! It is a Norwegian Air flight that goes from John F. Kennedy Airport to Liszt Ferenc Intl. (used to be Freihegy Intl.) of Budapest. 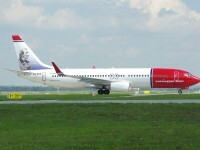 The Budapest flight departs on June 17 2013 (flight number DY7002) and returns on July 2 2013 (flight number DY1551). The flight to Budapest has got a 8 hour 15 min stop in Oslo, but it is during daytime, thus a great opportunity to see some of Oslo! The return flight only has a 1 hour 5 minutes layover. One small disadvantage of this Budapest flight is that you do not get any award miles for it, but it is not so bad if you consider that the $534 r/t price is $400 less than the next best offer we have found. Save $400 and spend it in Oslo during the layover or in Budapest on great Hungarian food. *Price shown is based on each way travel but you are required to book the round-trip flight. Price shown includes taxes and fees – baggage fees are excluded. This entry was posted on Thursday, January 24th, 2013 at 6:02 am and is filed under Airfare Deals. You can follow any responses to this entry through the RSS 2.0 feed. You can leave a response, or trackback from your own site.